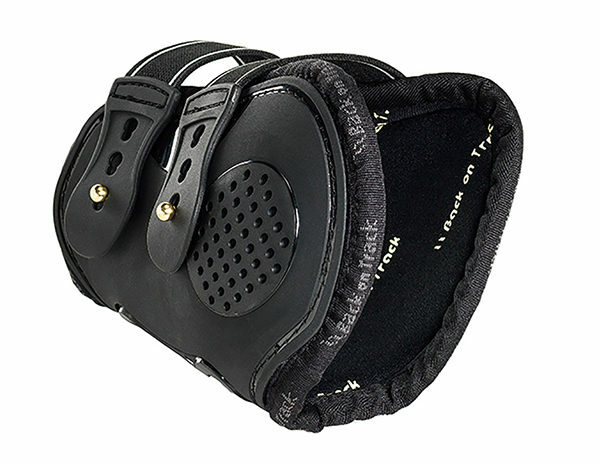 Back on Track Therapeutic Royal Fetlock Boots are used on the horse’s hind legs to protect against brushing or striking injuries to the leg. Back on Track Therapeutic Royal Fetlock Boots are used on the horse’s hind legs to protect against brushing or striking injuries to the leg. 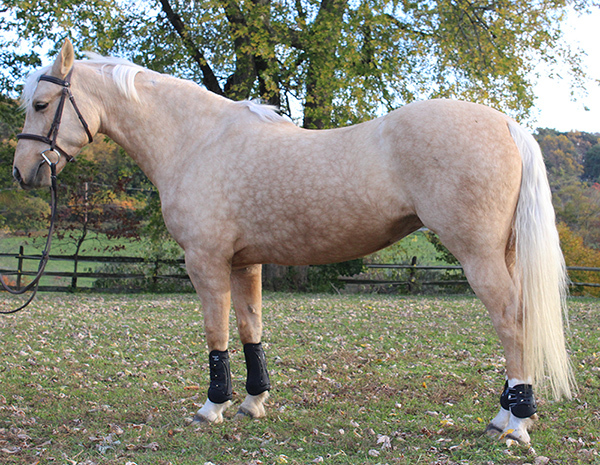 The Royal Fetlock Boots combine a molded, hardwearing outer casing with a thick, soft neoprene inner layer (perforated for extra ventilation/air flow). 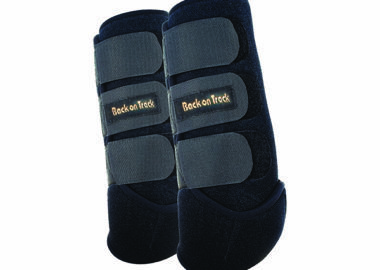 Combined with our Welltex material, these boots provide a soothing far infrared effect which may improve blood circulation. 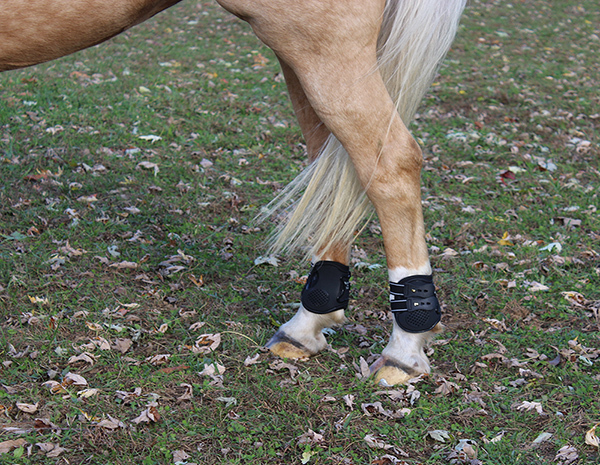 The lightweight design makes the durable Royal Fetlock Boots easy to use and the tough elastic straps and brass buckles ensure a secure, comfortable fit. 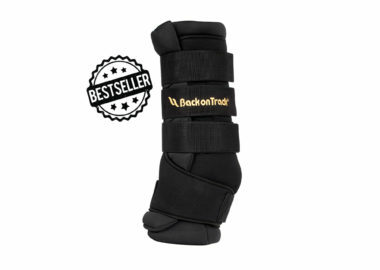 The Royal Fetlock Boots offer therapeutic protection and don’t forget, they look great with our Therapeutic Royal Tendon Boots! 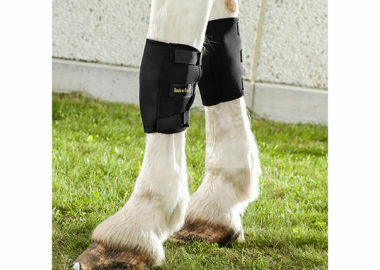 Sizing: For best fit measure the height of the side of the fetlock from the bottom of the joint to the top. Please view our sizing chart for further instructions on how to measure for this product. 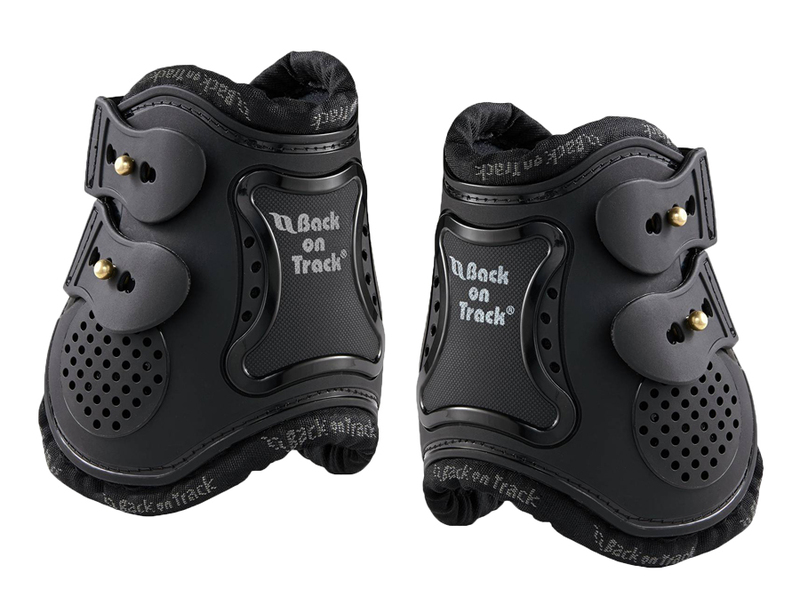 These boots are for flat work only, making this ideal for dressage and a good substitution for polo wraps if you need more protection or support around the fetock joint. Available in sizes SM - XL. 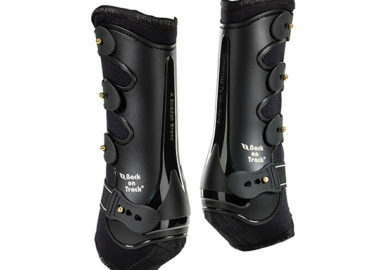 These knee boots allow for increased blood circulation and are ideal for injury recovery or prevention in the tough-to-wrap knee area.